Periodontal structures are those that support a tooth in its socket and bone. The health of the teeth and these structures therefore goes hand in hand. Many people tend to only focus on the teeth in their at-home oral hygiene regimens, but it critical to understand that negligence of the remaining tissues may lead to oral infections and also early loss of teeth. A periodontal cleaning at the dental office comprises of a thorough assessment of the gums, palate and tongue. A common procedure is deep cleaning, or scaling, which involves the removal of accumulated calculus, food debris and bacteria from areas around the teeth and near the gingival line which are difficult to access with the help of a toothbrush. If calculus is allowed to build up, it can cause harmful conditions such as gingivitis and periodontitis. The former is characterized by swelling, bleeding, redness and pain in gums, whereas the latter, a more aggressive form of the infection manifests as frequent bleeding, pain, inflammation, halitosis, gingival pocket formation, gingival recession, cementum and root exposure, mobility, and eventually, loss of teeth. 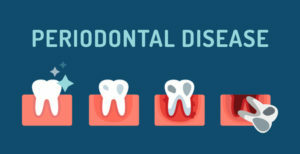 While a thorough round of scaling followed by strict maintenance of oral hygiene at home is usually enough to treat gingivitis, periodontitis on the other hand may also require surgery and anti-biotic intervention. Another treatment performed as part of periodontal cleaning is root planning. This intensive non-surgical cleaning procedure helps remove accumulated bacteria and plaque from below the gum line to relieve gingival recession and inflammation. Our experts at Baucum Family Dentistry are always available to help patients learn the importance and correct techniques of a good oral hygiene regimen. Book an appointment to have your oral health evaluated today!